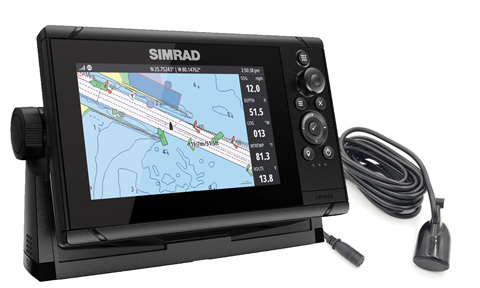 Simrad Cruise is the most intuitive, easy-to-use chartplotter available. 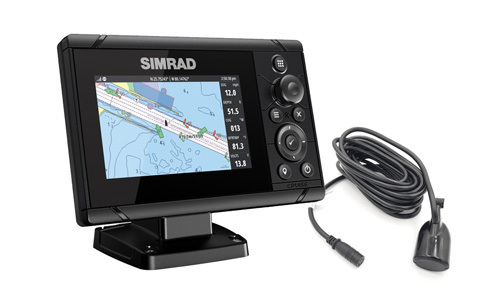 Everything you need for simple and straightforward GPS navigation is right inside the box – sunlight viewable display, mounting bracket and a sonar transducer. 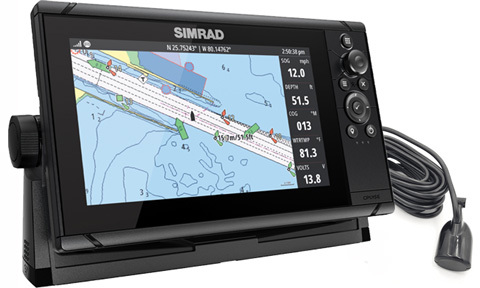 Simrad Cruise can display charts, navigation and sonar in split-screen view, or separately in full screen. Rotary dial and keypad controls make navigating through menus, creating routes and accessing temperature, speed, depth readings and battery voltage effortless.